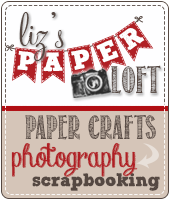 Liz's Paper Loft: MCT December Sneak Peek #1 ~ Gift Bag! Hi Everyone, I hope that you enjoyed your Christmas with family and friends! I'm sorry I haven't been posting, I took some time to spend with my family! Well Well Well, you are in for a treat today! 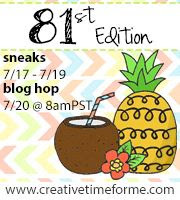 My Creative Time's December Release is way too sweet for words! You may think that this is a Valentine's only release and on the surface it might seem that way, but it can be used for way more! I created this darling gift bag and put a mask cool pack in it! If you don't like 3D projects, don't fret...this could easily be made the same way and attached to a card base. I took one of the layering dies, pierced two holes to make a button then added glossy accents. Don't you love how sharp and crisp this stamp is! Oh, and aren't those the cutest little hearts! I used an old book with lots of "love" words for the hearts. SOOOO BEAUTIFUL!! LOVE LOVE LOVE!!!! Great idea. Love the colors. Absolutely lovely....I would love to get a treat in something like this. Oh my your card is gorgeous wow what this is definitely classified as an heirloom whoever gets this one literally is getting a keeper you are so talented and have come up with one awesome creation!!! This is beautiful! You did a fabulous job! It's a Wow E. love it. This is FABULOUS!!! LOVE the colors and all the pretty layers!!! So beautiful. I love the chunky glitter. Great bag. This is just too cute for words, Liz!!! I love the little text print hearts, and all of the elements on the bag are just perfect!!! I love 3D projects and this one is a fabulous one! Love all the blingage, the print hearts, ALL OF IT!!! Beautiful project once again, Liz. 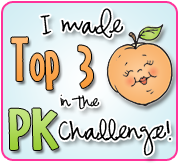 Your creativity knows no bounds! Your gift package is a wonderful showcase of the new release, and the face mask - how clever is that! Thank you for sharing and inspirng. Gorgeous, expecially with the book page hearts. 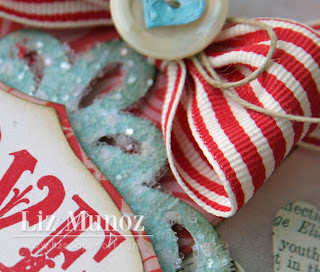 So cute--I like the striped ribbon, glitter and the text hearts. 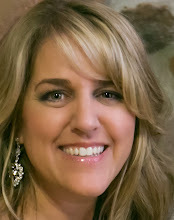 Liz ~ Simply BEAUTIFUL! I LOVE used the glassine bag with all the MCT products!! I LOVE 3D projects but I can TOTALLY see this on a card too!! GREAT idea! You always have such GORGEOUS projects here! I too have taken time off for family ~ it has been wonderful if I say so myself! But I need to get playing with your products and my MCT stuff ~ missing them as well! Awesome job as always! oh my! this is so beautiful! love the colors, patterns and colors you used! AWESOME job! thanks for sharing! so beautiful!!!! the colors, glitter everything !!! Absolutely beautiful gift bag. This is such a great idea. Thanks for sharing. Love this, Liz!! I'm a 3D gal myself, but I do enjoy making cards too. this is a great idea, and presenting it on a card would be fab as well. this is gorgeous Liz!!! LOVING these new stamps and dies! This is beautiful! Liz, what a great job...I love the little bag and the way you decorated it is gorgeous. 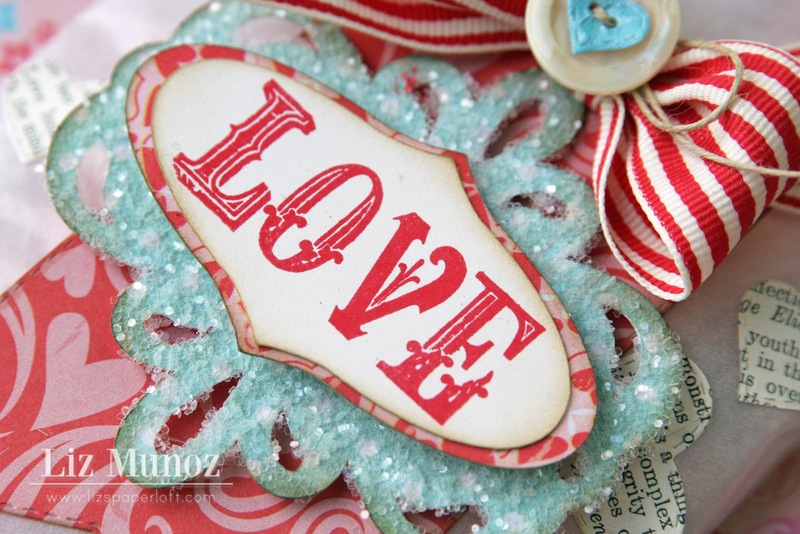 Gorgeous project Liz, love the embellishments. love this idea. The color palette is so fresh. Love all the little details. This is so adorable, I love the way you decorated, it looks so elegant. i love the gift tag idea. i find it that i am always looking for something simple like a gift tag. thanks for the answer and inspiration. this is so pretty & love the idea of making the heart into a button! I love this project! Everything is just perfect. What kind of adhesive do you use to adhere stuff to glittered objects? It looks like you used the MS Coarse Glitter. I would love to know. Thanks! Thanks for including your Artiste measurements! This is beautiful and you're right...would be easy to incorporate into a card! What a super cute bag. Love the color combinations that you used. Very nice! I hope you don't mind but I think I might have to scraplift this! SO SO beautiful! LOVE it! Your project is just so elegant looking! You did a wonderful job with this fantastic release! LGVE>>>>LOVE>>>>LOVE it! Somebody will be very lucky to get this great gift in your beautifully decorated bag. 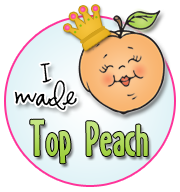 I love the button idea for the hearts...this new release will be so fun to use! Great job! This is so pretty!! Can't wait to see the whole release!! What a beautiful card. The colors are eye catching. Beautiful! 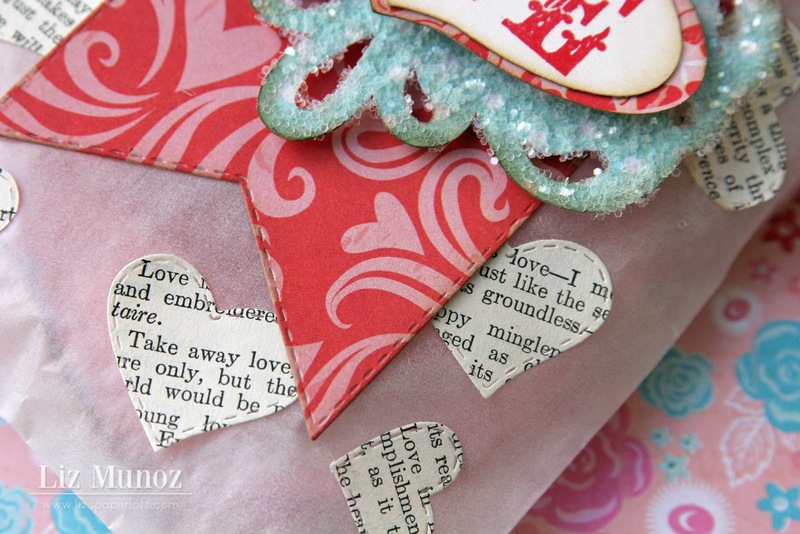 Love the text on the die cut hearts. How pretty! Liz, you make the cutest stuff!!! Love it! Que lindo! I love these colors together. GREAT job. Perfect. This is soooo beautiful! I love the colors and all the sparkly! Love the little treat bags!!! So awesome! Love your treat bag, it has such a vintage feel! eigomez at comcast dot net. I love this gift bag, so pretty. Love the way you decorated the bag! TFS! I so love this bag! Super cute! I love the layering and the fact that the fancier label looks like sugar! Yum! Yeah... so this gift bag is STUNNING!!! I absolutely love EVERYTHING about it!!! I am so thrilled to be hoppin' with you this month and am secretly crossing my fingers for more! :) Hugs my sweet friend! Like that added script paper hearts on the glasin bag. Sweet treat. Love the treat bag. The pink and red paper that was used was gorgeous. 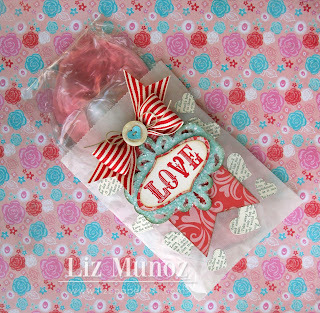 great way to decorate a little gift bag! WOW!!! This is so adorable. Love it!!! Thanks for sharing. Fabulous, Liz! I love it!